It’s 11:30 on a Saturday night. I’ve had a few glasses of wine and have slept a mere 4 hours in the last 36. I’m exhausted. But just before I go upstairs to pour myself into bed I mix together a dough. In one bowl I make an autolyse, a sort of unleavened pre-dough by combining 4 cups of whole wheat flour with 2 cups of cool water. In another bowl I make the pre-ferment by combining a cup of bubbling sourdough culture with enough flour to form a ball. Then I feed the culture, which is in a separate bowl, with some fresh water and flour. I cover all the bowls and crawl up the steep stairs of my old house and fall into bed and sleep a deep dreamless sleep for nearly 10 hours. The next morning I come down and the house is cold; it’’s late October and I still haven’t turned on furnace. My two dogs are curled together in a sort yin-yang pattern to conserve heat and look at me with that “where’s our food,” look. Despite the cool temperature the kitchen still smells of yeast and one of the bowls—the starter—has bubbled over. It makes me smile to know that while I slept the dough was working...feeding and growing. I don’t make bread, I thought to myself, it makes itself...I simply provide the right conditions. Before I mix the dough I turn on the coffee maker and feed the dogs, “the boys” as my son and I call them. While the dogs are eating, and the dough continues to eat, I go to the front of the house to start a small fire in the wood stove to take the chill off the house. I watch as the fire takes hold, and the kindling pops and sizzles, and I think of my day ahead. It’s Sunday and I often attend worship at our church, but today I likely will not; I have a paper to write which is hanging over my head and I’ll go to a coffee shop to work instead. But on my way I’ll pray...meaning, I’ll thank our creator and source for the autumn beauty that surrounds me...the crisp air, the beautiful fall colors, and the fact that I am even inclined to think this. So I offer thanks, and while it doesn’t remove the stress of the work I have to do—nor does it relieve the imaginary stress of my work-week ahead—it does calm me a little, and make me feel more connected and centered. Before I leave the house I mix the dough. Once the fire is established I return to the kitchen. The dogs are finished feeding and are doing their little tap dance near the rear door, signaling I’d better let them out or there may be an accident. When I reach for the bowl of the mixer I notice how cold the steel feels. And into it I combine the autolyse and the pre-ferment; I also add a few tablespoons of olive oil and a couple teaspoons of sea salt. After placing the bowl on the mixer I turn it only low speed at first, and then medium. It makes it’s all too familiar grind-click-grind sound, which I know means it’s only a matter of time before I have to send it in for repair. The starter, or sour culture that I’m using to leaven the bread is named 7.99, meaning July 1999. That’s the month and year that it began. I’ve had various starters since, but this is my first. And it’s the one I’ve kept alive ever since. Sometimes—like now—I’ll keep it bubbling and active on my counter and feed it everyday. And other times I’ll let it go dormant for a month or two in the refrigerator and wake it up with a couple feedings when I want to use it. I’ve even froze it for more than a year and resurrected it with a few feedings and warm temperatures. The famed Parisian bakery, Poilâne, is said to use their original starter to leaven all of their breads which is more than a hundred years old. It’s really incredible, I think, the way bread works...It’s a symbiotic relationship relationship between the ingredients. The naturally occurring yeast is a living organism. And when combined with water and flour it consumes the starch which is converted into sugar. And as the yeast eats it gives off gas, not unlike a human, I suppose. It eats and expels carbon dioxide, which also converts to a sort of alcohol. 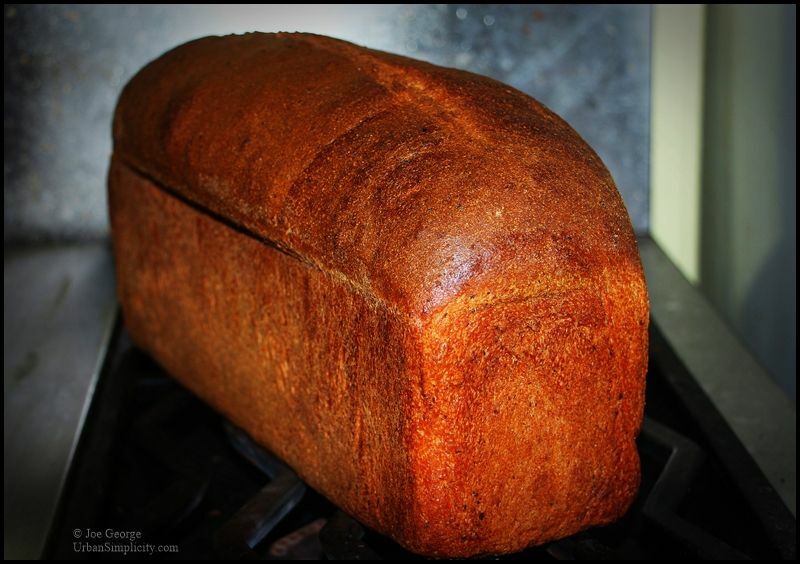 This is why naturally leavened bread smells so strong at times and has a sour flavor. As the gas is released it forms tiny bubbles in the dough, with more gas the bubbles grow, and as the bubbles grow it raises and lightens the bread. In the old days bakers would save a piece of the raw dough so they could add it to a new, or young dough, which in turn would be inoculated with the yeast from the previous dough and create a new loaf. 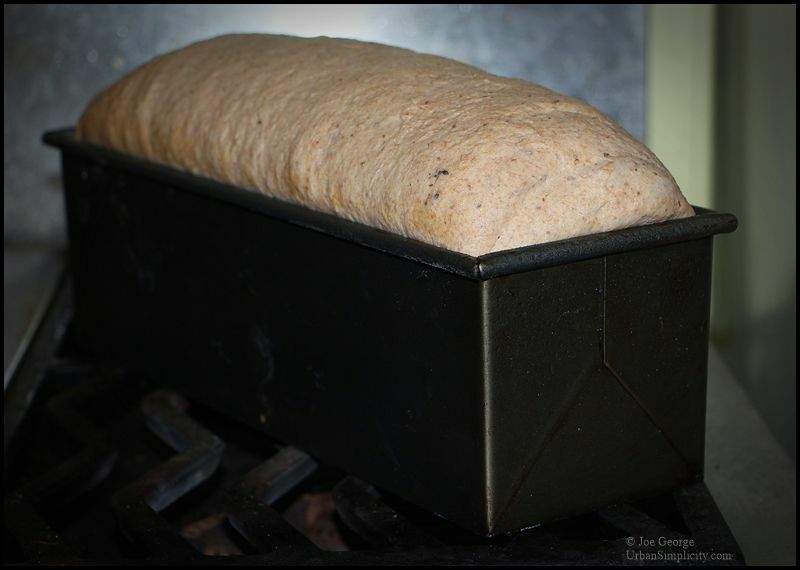 The smallest portion of dough with live cultures can raise an endless amount of bread. It has been written about for millennium, sometimes as metaphor. This can be interpreted in so many ways. My take on it is that what you focus on—what is in your heart and on your mind—eventually grows and manifests into reality. In other words, if you focus on good, then good happens. And the reverse is true as well. This has been my personal experience. The summer of 1999 seems both very recent but at the same time a very long time ago. So many things have happened, to me and all of us. I’ve gone from being in my late thirties to mid-fifties. My son went from being a child to a young man. I’ve had a few jobs, had my heart broke, became financially broke, and was ordained as a minister. And then there was 9/11 which changed everything. These are just some of the big things, the small day-to-day events that have happened since are so many but just as important. One moment after another strung continuously together. When I came home from the coffee shop the bread was fully risen. It was beautiful and it made me smile. I turned on my oven and it made the usual woomf-woomf sound as it struggled to stay lit (it needs a new igniter) so I turned on the broiler to heat it more rapidly. Before placing it in the oven I spritzed it with some water and sliced the top for expansion. 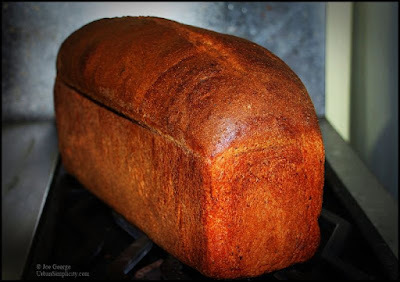 As it baked the house filled with the comforting aroma that only freshly baked bread can. While the bread was baking I poured a cup of coffee and saw that the starter was already bubbling from the morning’s feeding. It was almost ready to leaven another loaf; it was ready to continue the cycle. 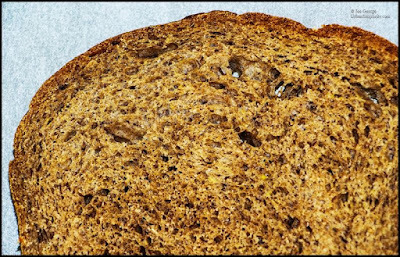 Bread is an important component to diets and cultures in many parts of the world, but in some areas of the Middle East it is so important and prevalent that it is referred to as ayshe, which also means life. And this is what I think Solomon meant when he suggested we cast our bread upon the water and we will eventually find it. My take is that he was implying we cast our lives out into life itself if we want to find it. Live freely and selflessly but most importantly lovingly. I forget sometimes how good I have it. It’s as if I fall asleep and need to wake up. I stress over money and time; I worry about the future. I forget. I forget how much I have and all the things I’ve done and how much more there is to do in this life. And I forget how I am connected to and inseparable from everyone and everything, including the very Source that animates these flesh and bones called Joe. I also forget that we can begin again each day. Each moment, actually. As I squatted to pull the loaf out of the oven I nearly tripped over one of my pugs who was circling around, probably because of the heat of the oven but also hoping to take a bite out of the bread. When I stood up and set the bread on the counter it was beautiful. I couldn’t help but think of the countless generations that have baked bread in this same way (but likely not with an electric mixer and gas oven). And at that very moment—even if it was for just a moment—the veil was lifted however slightly and briefly, and I knew I had everything I needed. I desired nothing. And at that moment I also knew that I should begin again. Tomorrow I may need to begin again...and again. But for now it was enough. After the bread cooled enough to slice, I ate an apple and cheddar sandwich and couldn’t help but think that the bread was leavened with a leaven that began so many years ago. It was good. Really good. And I begin again. But tomorrow I may have to start over, too. Again. But that’s okay. Beautifully written. Thank you for making me reflect on my own life and how grateful I am for what I have. Most of the things that we complain about are usually first world problems. Sometimes I think we need to walk in the shoes of third world countries to really appreciate what we have. Welcome back! I, and I'm sure many others, have missed your postings. I might have to request some starter from you, I am having trouble rejuvenating a Carl Friends sourdough starter that that I dried out several years back. Thoughtful and thought provoking. I a new follower, enjoying what you write about, found you through a search for Ezekiel bread.